[14 May 2018] The Kura-Kura 3-Day Pass and 7-Day Pass are now available online via Easybook.com. 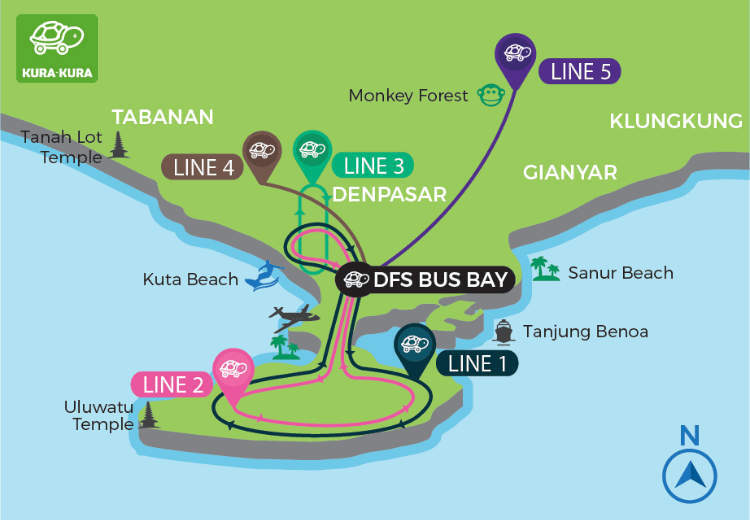 The Kura-Kura Day Pass offers unlimited travel on all lines and is ideal for first-time visit to explore the most popular areas of Bali. The 3-Day Pass costs IDR150,000 (approx. SGD14) and 7-Day Pass costs IDR250,000 (approx. SGD24). Kura-Kura Bus is a public shuttle bus service connecting popular tourist areas in Bali. For more information on the bus services, please visit kura2bus.com.